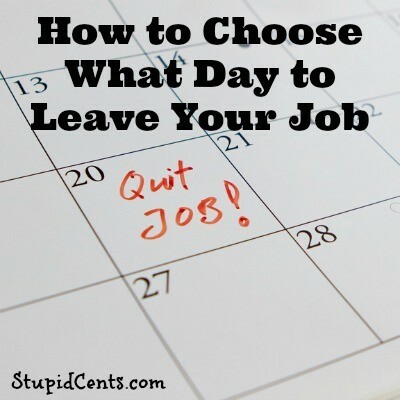 After you have decided that you want to leave your current job, you need to decide when your last day will be. This is on the basis that you of course will not be asked to leave the building as soon as possible. If you are allowed to choose what your last day will be (assuming you are leaving on good terms), then continue reading! If you are quitting, then I really hope that you have a plan. Quitting may sound nice, but without a plan then it may not be very realistic. Do you have enough money to last you until you find another job? You never know how long that may be. I always find it best to overestimate so that you can be prepared for anything. If you do not already have a job lined up, then it may take as short as something like one week, or it may take months or even years to find a new position. Some future employers know that you will need to put in some sort of notice to your current job. Your notice may be two weeks, or your current employer may need you for a few months. You of course do not want to have an overlap in your work days. You should find out when your start day is for next position. If your last day is on the 16th, then you may not want to start your next job on the 17th because you may want a few days off. However, if you need the money, then you may want to start your next position immediately so that you don’t miss out on any income. When will your health insurance end? If you need your company-provided health insurance, then you may want to stay at your current job as long as you possibly can. Figure out when your health insurance will end and maybe plan your last day around that. Do you really want to work the whole week? If it were me, I probably wouldn’t want my last day to be on a Friday. Having to work the whole week might possibly create some tension, and the week will probably go by very slowly. I wouldn’t want my last day to be on a Monday probably either. If you work on a Monday, then you pretty much just dread the whole weekend. Also, how productive would you really be on a Monday that is your last day anyways? Have you received a bonus yet? If you know that you will be receiving a bonus, then you may want to wait to make your last day until after you receive it. Of course, keep providing high quality work. If you earned a bonus, then you earned it. Don’t feel bad because you are leaving. A bonus is for past work, not for future work. Did you ever put thought into exactly what day is best to quit?